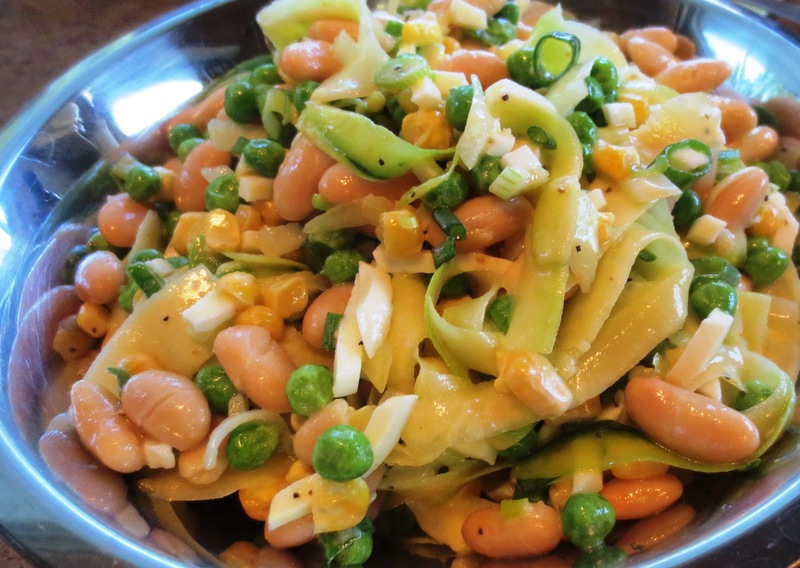 For a hot weather no-cook salad, this is such a vibrant and scrumptious side dish or, it could be a complete light dinner, also. Adapted from a Whole Foods recipe. You don’t have to ‘shave’ the zucchini into noodles, you can roughly chop and add to the salad, but the noodles give the salad a uniqueness that is pretty and interesting. Using a vegetable peeler or mandolin, cut squash lengthwise into long thin ‘noodles’ rotating the squash as you peel. Discard seedy core. In a large bowl, combine the ‘noodles’ and rest of the salad ingredients adding whatever options you choose. Salt and pepper to taste. Whisk together the dressing ingredients and pour about half the dressing over the salad and gently combine. Add more dressing as desired, but you don’t want it soupy. Keep any remaining dressing to add to a green salad. a Chef’s Journey Tip: Wne: 2-Vine Shiraz, Pinot Grigio and 14 Hands Hot to Trot have all been very good with this salad. Lots of fast and easy cooking and eating for the next few months while we remodel our new (to us) little farmhouse. Today was a combination of an old recipe used in a different way. I’ve had MasterCook program on my computer for years and years and Thai Pork Burritos is a recipe I’ve made many times. 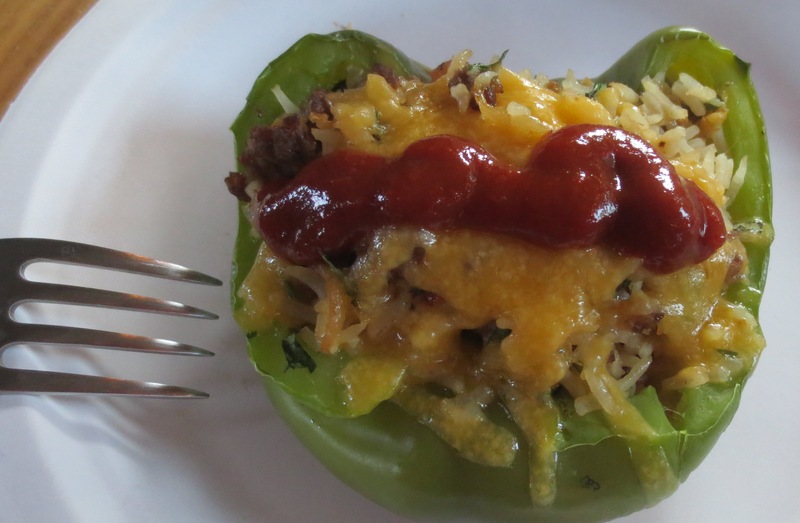 I made a large batch a few days ago to package up in small, fast and easy to use sizes and while they are wonderful used in burritos, today I mixed with cooked rice and cheddar cheese to fill bell peppers. Topped with a little hot sauce, we were happy and contented eaters. Heat large nonstick skillet over high heat. Add pork, cook, crumble and stir until pork is no longer pink, about 3-4 minutes. Add ginger, garlic, onion and cole slaw mix and stir-fry with pork for 2 minutes, until vegetables are wilted. Combine all remaining ingredients except tortillas and cilantro in small bowl and add to skillet. Stir constantly to blend all ingredients well, about one minute. 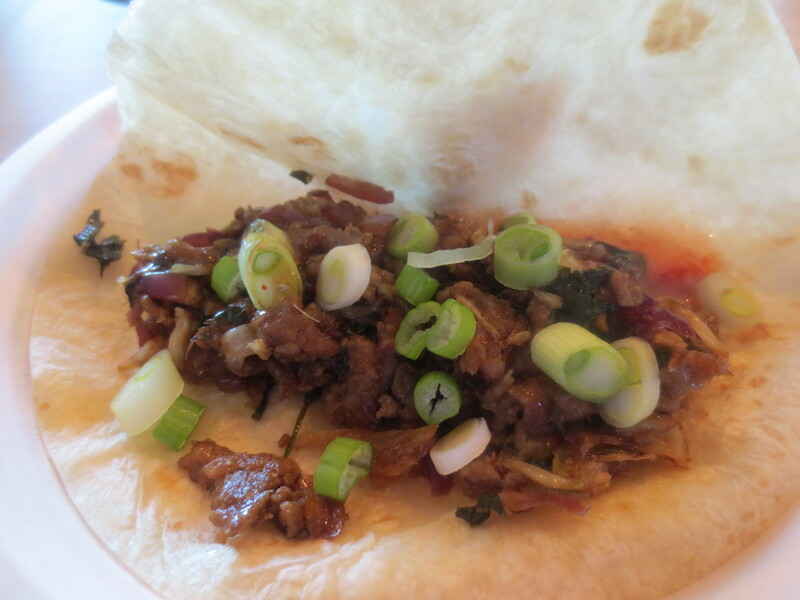 Spoon equal portions of mixture onto warm flour tortillas, garnish with cilantro, roll up to encase filling and serve. 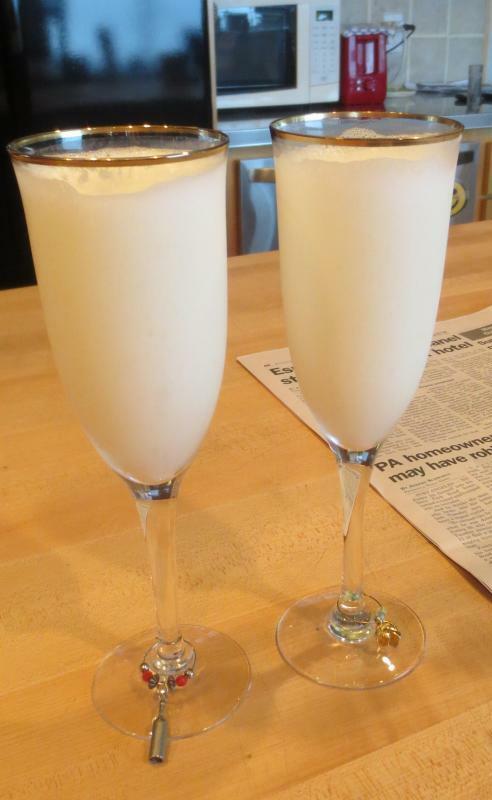 Mother’s Day is Sunday and here is my favorite brunch drink ever! Ramos Fizzes is a luscious, frothy drink my old friend Susan Mitchell Ayers brought into my life in the 70s and I have loved since. You’ll want to plan a light brunch because these drinks are very filling. In fact, these are the only drinks I’ve ever planned food around – except wine, of course. Add all ingredients in a blender; add ice to the thickness you prefer – Swirl them up good!. Here’s the brunch I love with the Fizzes – not to mention making me a very happy mother indeed. In a heavy 2- to 3-quart saucepan, melt butter over moderate heat, and stir in the flour. Cook, whisking constantly, for 2 minutes. Do not let this roux brown. This step will cook out the floury taste. Remove the pan from the heat and blend in the hot milk; return to high heat and cook, whisking constantly, until the sauce comes to a boil. Reduce the heat and simmer, still stirring, for 2 or 3 minutes, or until the sauce is thick enough to coat the back of a spoon heavily. Season with salt and white pepper to taste. Add the crab, breaking it up and combine. Over low heat cook just until the crab is heated through. 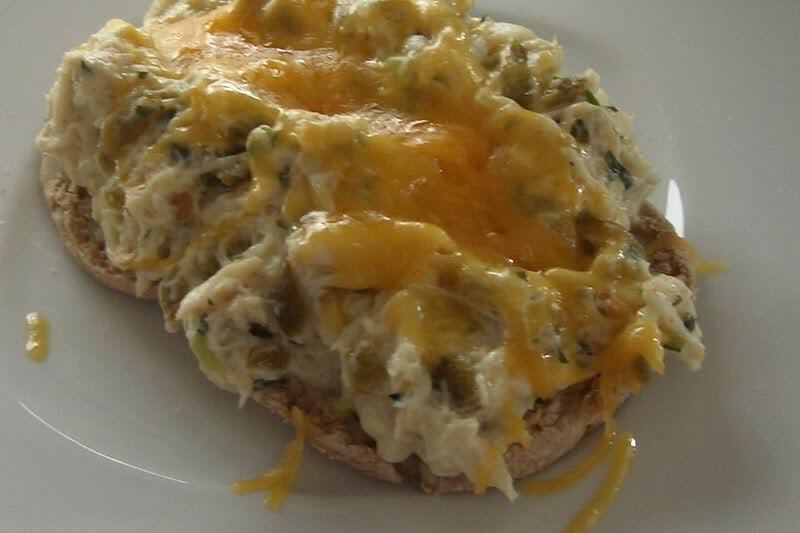 Toast muffins halves and put one or two on each plate; spoon the crab mixture over the muffins and top with cheddar cheese. Put under the broiler to just melt the cheese and enjoy immediately after refilling your glass with another Fizz!! Happy Mother’s Day to us all!